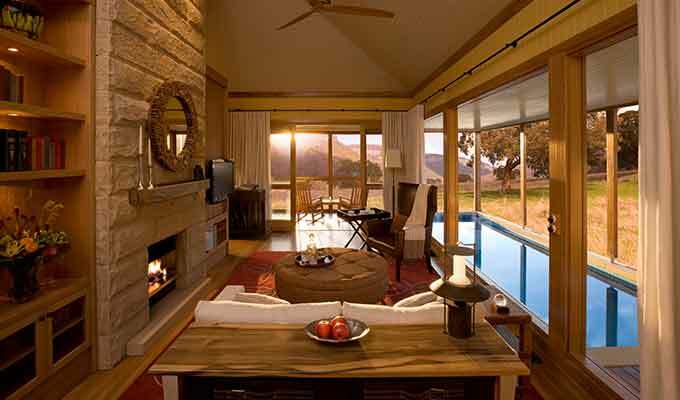 Emirates One&Only Wolgan Valley is an ultra-luxury conservation-based resort, located 2.5 hours’ drive from Sydney (190kms) in the World Heritage-listed Greater Blue Mountains region. Set on 7,000 acres of carbon-neutral conservation and wildlife reserve, the resort combines absolute luxury with a quintessentially Australian bush experience. "It's not until the valley opens up before us and the resort finally comes into view that it becomes clear why Emirates has chosen this special place." Occupying just one per cent of the total land area, the resort features 40 elegantly appointed villas reminiscent of the Federation period, each with its own private swimming pool, double-sided fireplace and private verandah with stunning valley views. 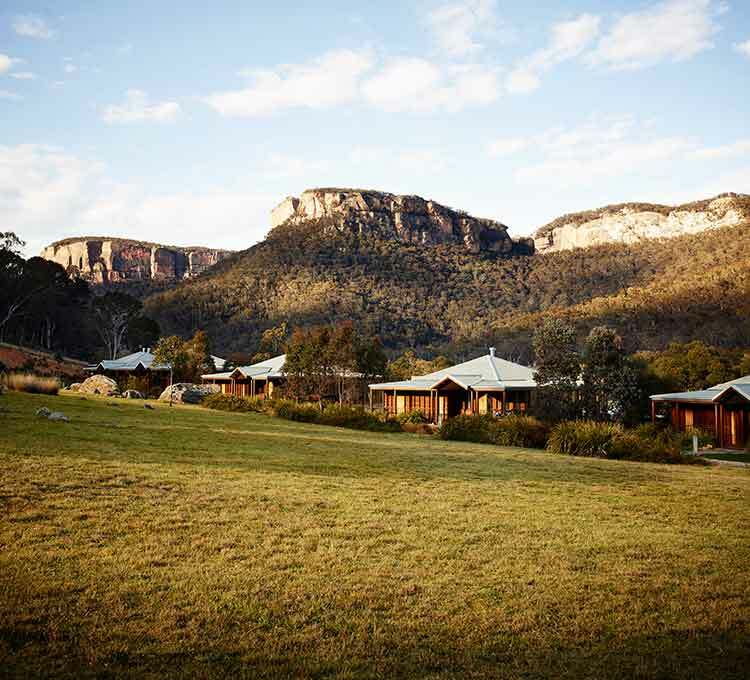 A Main Homestead features various dining settings including the magnificent Wolgan Dining Room with panoramic views; The Country Kitchen, a providore-style casual restaurant; the Valley Bar & Terrace; a walk-in wine cellar with over 150 carefully selected wines and the Creekside Room, a private dining area for up to 12 guests. The resort’s food philosophy, based on seasonal, regional and where possible organic produce from within a 100 mile (160km) radius, showcases exceptional Australian fare. The menu changes according to season and various ingredients are incorporated from the resort’s very own kitchen garden. Offering ultimate relaxation is the resort’s One&Only Spa – with an extensive range of exquisite treatments designed to revitalise the mind, body and soul the spa incorporates specialised techniques from Australia’s own Sodashi skin care range to offer a unique and enriching experience. The unique blend of native wildlife, dramatic landscapes and heritage, can be explored through a range of activities including wildlife safaris, nature walks, heritage tours, mountain biking and horse riding. Guests are also invited to take part in conservation work alongside the resort’s expert field guides. 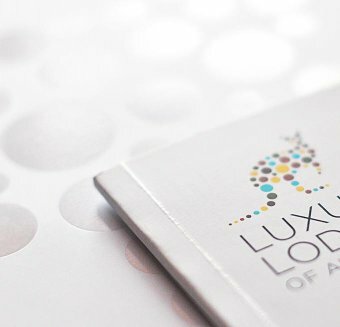 A Luxury Lodge of Australia. The resort offers a unique blend of seclusion, native wildlife, dramatic natural beauty, conservation and heritage combined with unsurpassed luxury facilities and outstanding food and wine. 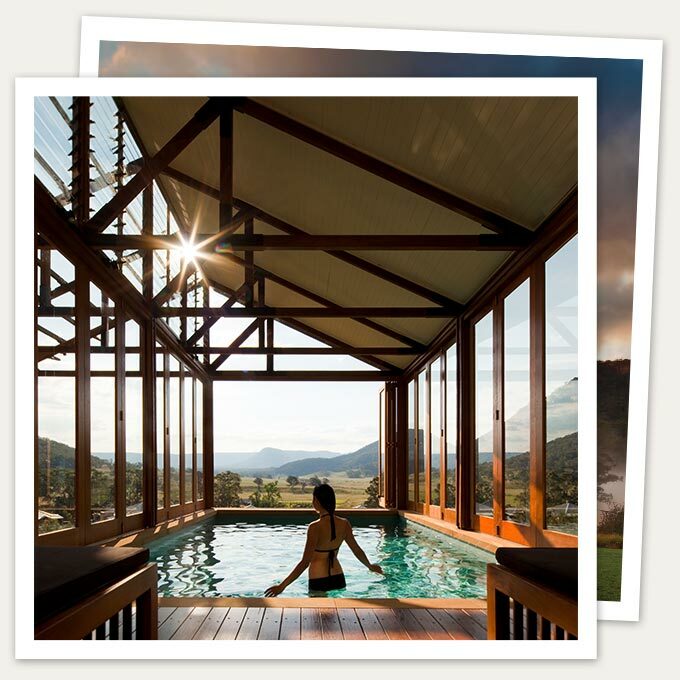 Emirates One&Only Wolgan Valley has been re-certified as carbon-neutral, for the eight-consecutive year since opening, in the carboNZero certification program and remains the only resort in Australia with this standard of accreditation. This ongoing achievement is a true testament to the resort team who are committed to sustainable and carbon-neutral operations.